If you thought this week’s Samsung rumors would stop with the dubiously named Galaxy Mega smartphones, think again. Now we’re being treated to gossip surrounding the Galaxy Ace 3 and another disastrously named device, the Galaxy Win. Really, Samsung? 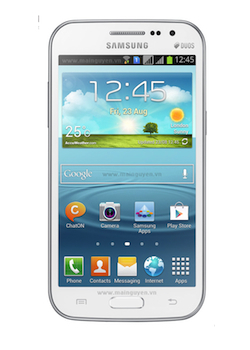 The possible release of the Galaxy Ace 3 isn’t much of a surprise, as its predecessors are ideal for those either unwilling or unable to buy big-screen devices, and have therefore been strong sellers. As for the possible specifications, the Ace 3’s screen could measure 4 inches and a 1.2GHz, dual-core processor may power the Android 4.1 Jelly Bean device. This is a considerable bump over the Galaxy Ace 2 (pictured above), which could only muster a dual-core 800MHz chip and a 3.8-inch screen. Samsung released the Galaxy Ace 2 back in May 2012, and the rumor report puts the Ace 3’s launch date around the end of May or early June, which fits in with the expected annual refresh schedule. As for the price, an unlocked Galaxy Ace 3 could be around £260, or $390. A quick check to see how this compares with the Ace 2 reveals some retailers are already cutting the price of the SIM-free Galaxy Ace 2, Carphone Warehouse in the UK has reduced it from £260 to £195 for example; perhaps in preparation for the arrival of its successor. Our other leaked Samsung phone is the Galaxy Win, which despite its ridiculous name, is quite interesting. According to a Vietnamese website where the phone has appeared, it’s going to be powered by a 1.2GHz Qualcomm Snapdragon 200 processor, which is geared for value and performance. The Galaxy Win could be one of the very first appearances of Qualcomm’s most basic Snapdragon chip. 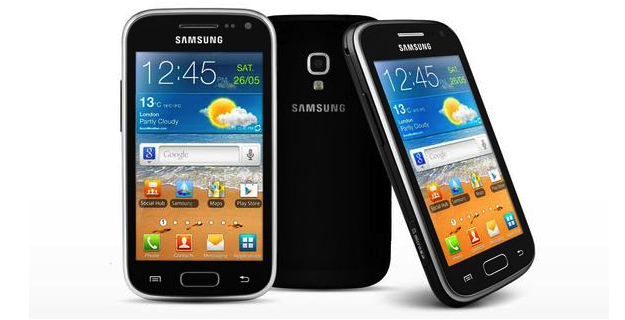 The design, as you can see from the picture, makes it look very similar to the Galaxy S3. The specification for the Galaxy Win continues with a 480 x 800 pixel, 4.7-inch Super AMOLED screen, a 5-megapixel camera, a 2000mAh battery, GPS, Wi-Fi, Bluetooth 4.0 , and Android 4.1 Jelly Bean. The phone listed on the website has a dual-SIM slot and the model number i8552, so if Samsung sticks to its usual naming system, a single-SIM i8550 model may accompany it at release. This could be later this month, if the rumor turns out to be correct. As for where the Galaxy Win will fit into Samsung’s range, it’s likely to be somewhere in-between the Galaxy Express and the Galaxy Grand, but unlike the Galaxy Premier, it’s looking like it’ll only have 3G connectivity (confused yet?). If all these Samsung phones are real, and their rumored release dates are set for sometime in the next couple of months, we should be getting official confirmation of their existence soon.